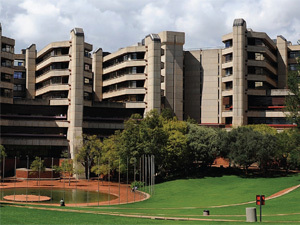 The University of Johannesburg (UJ) has eliminated physical walk-ins from students keen to get a slot at the institution this year. The move to electronic communication follows last year’s tragedy, when a stampede for places to study led to a woman in the queue being trampled to death. The university says it has received all national senior certificates in electronic format and will assess these and inform applicants by Sunday via SMS if they have gained admission. Applicants are not required to submit paper copies of their national senior certificates for this final selection process, it says. This week, basic education minister Angie Motshekga presented the results for the Class of 2012 – the so-called “born frees”. In total, 511 152 matrics wrote the national senior certificate exams, of which 73.9% passed. UJ says “no physical walk-ins are allowed” and enquiries for space will only be done through its mobile site, or the call centre, during next week. On-site online registration for senior students starts on 21 January, followed the next week by the commencement of first-year undergraduate registration. Online registration will be available for senior students from 14 January and from 21 January for first-year students. In January last year, a stampede occurred when thousands of students queued at the university’s Auckland Park Bunting Road campus for eleventh-hour applications. Forty-eight-year-old Gloria Sekwena, who accompanied her son for a late application, was crushed to death in the stampede by thousands of university hopefuls, while 22 others were injured. UJ processed close to 89 000 applications in 2012 for about 10 500 first-year undergraduate spaces for 2013 study. Higher education spokesperson Vuyelwa Qinga said at the time that the tragedy prompted minister Blade Nzimande to fast-track the implementation of a centralised administration system that was set to be implemented this year. “The main goal is to completely do away with long queues and walk-ins at universities,” said Qinga.